Gupse Özay is a famous Turkish actress and scriptwriter. She was born in Izmir, Turkey. Is of Circassian descent. Studied at Radio Television and Cinema Department of Ege University. She was awarded with a documentary called “Yaman Yaşamışım”, which she shot with her friends during her university years. 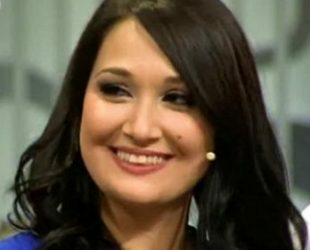 She played in “Yalan Dünya” as Nurhayat and became a social media phenomenon. Gupse Ozay dating with famous and handsome Turkish actor Barış Arduç.